It's way cool - I love it!! Gorgeous! I have been loving matte manis lately so this is right up my alley! That's so pretty! 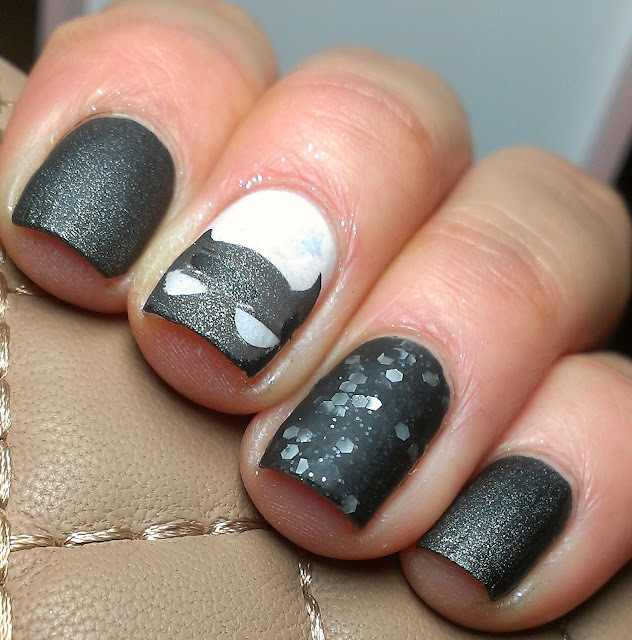 And I thought it was Batman on the accent nail! Me too! I'm confused about the heart in the title, maybe she can clarify? This looks amazing! I love that stamp!